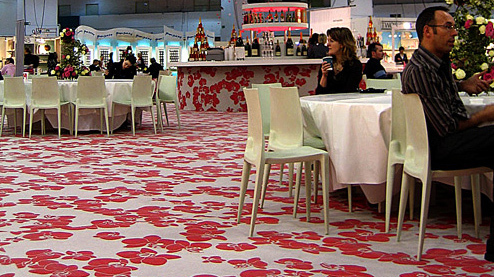 ELEA is our 100% recyclable velour carpet for prestige exhibition and events. Produced in Italy, ELEA offers an unrivalled luxury surface finish with enhanced durability, particularly suited to larger, prestigious and longer duration shows. In addition to the standard ELEA carpet quality, the ELEA range also offers variations, including bespoke colours, logo and printed designs, seasonal and glitter carpets. 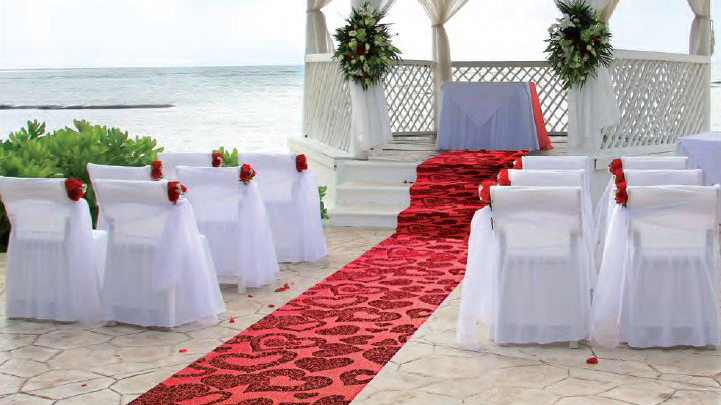 A.T. Industries offer a range of carpet runners, in a variety of widths, including standard quality ELEA ‘red carpet’ through to Twister, jacquard-woven designs, and artificial grass runners. Many of these are supplied with a polythene protective covering to keep the carpet in pristine condition during set-up and peels off just before the event starts. Alma’s on-line ‘ink’ printing system prints onto the ELEA carpet. This process of custom-printing can apply logos, personalisation and designs, up to a maximum of 4 colours in 2m, 3m and 4m widths. TWISTER is a unique carpet that uses jacquard-woven fabric which is fused onto the ELEA carpet base. This means that any digital design/picture can be replicated over a 2m width carpet. Twister’s composition means that the product is durable, easy to clean and can be utilised for medium term use. The carpet can be co-ordinated with fabrics for curtains, wallcovering and furnishing. Our fabrics range encompasses all products used in the events sector including, fringing, casement, drapes, standard design and bespoke jacquard-woven fabrics for curtains, wallcovering and furnishing. 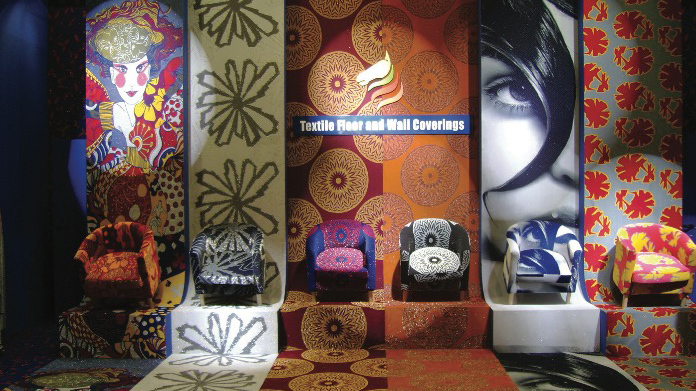 In addition, these jacquard-woven fabrics form the basis of TWISTER carpet and offer multiple co-ordination options. A.T. Industries offer a variety of qualities of carpet-grass from endurance landscaping grasses to playground and display grass. 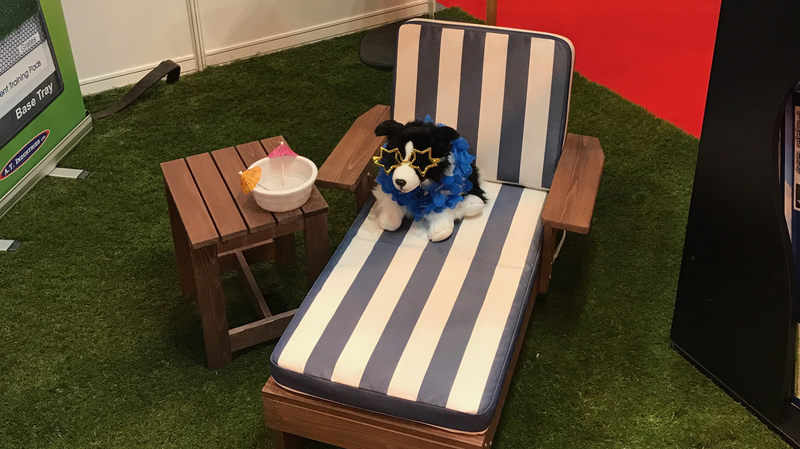 Our wide range of ‘GREENACRES’ artificial grasses have earned a reputation as the most realistic on the market. Our ‘white’ event grass also has a white backing and is very popular for Christmas and winter displays. 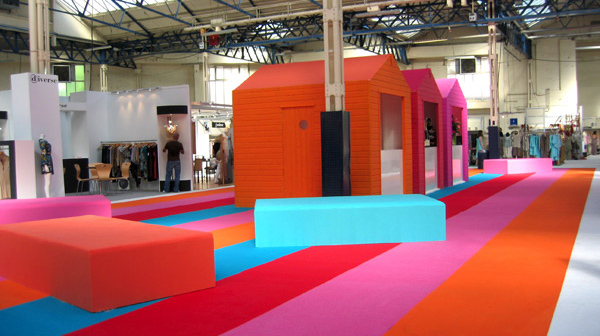 Our additional flooring ranges are available to complement your chosen event style. A.T. Industries vinyl flooring ranges are all produced with anti-slip properties, and our heavy-duty textile carpets are ideal for high-traffic entrance areas. There is a large selection of colours and and designs to choose from, all available for supply from our UK warehouse.